It’s funny how one’s focus can change when looking at the classroom library. For a while, I’ve been thinking a lot about the nonfiction titles in my room. Last summer I started to get anxious about whether or not I had enough books in the room that my Grade 2/3s could pick up and read independently. It seemed like my “best” nonfiction titles were books that I needed to read to my students. Which was wonderful because I had some amazing titles to use as we model strategies, but what about when it was independent reading time? Did I have enough titles that students could read by themselves with success? My book shopping focussed on purchasing titles that I knew my students could manage on their own, especially as we built strategies to read nonfiction text over the year. Some of my favourite books that I added? Nicola Davies Flip the Flap and Find out books which include Who Lives Here? and Who’s Like Me? Laura Hulbert‘s Who Has This Tail? and Who Has These Feet? Now, here I am a year later. Again, thinking about the books in my room . . . What is my focus now? That I want some “Oh, wow!” titles to read aloud. I want to make sure that just as I am reading a variety of picture books and some engaging novels, that I have a real variety of excellent nonfiction picture books to read aloud. Sometimes to model/practice a strategy, sometimes to enhance our learning on a particular subject and sometimes just because, the more we read, the more we know and I want my students to be inspired and curious about learning all year long! I am fortunate to be looping my Grade 2/3 class into Grade 3/4 and so I have a sense of this group of children, what they wonder about and what I think might inspire them. Last year, I noticed that they were intrigued by stories – folklore, Aboriginal tales, stories from around the world and stories about things that really happened. They were very curious about the stories of people and how these stories connected to us in our classroom. It made me realize that I haven’t been reading enough biographies. I also want to focus on places around the world and the wonder of the world around us. Last year, students loved learning about animals from each continent and had endless questions about habitats. I know we love art and books and music. So, I have some sense of what kinds of books I need to share. 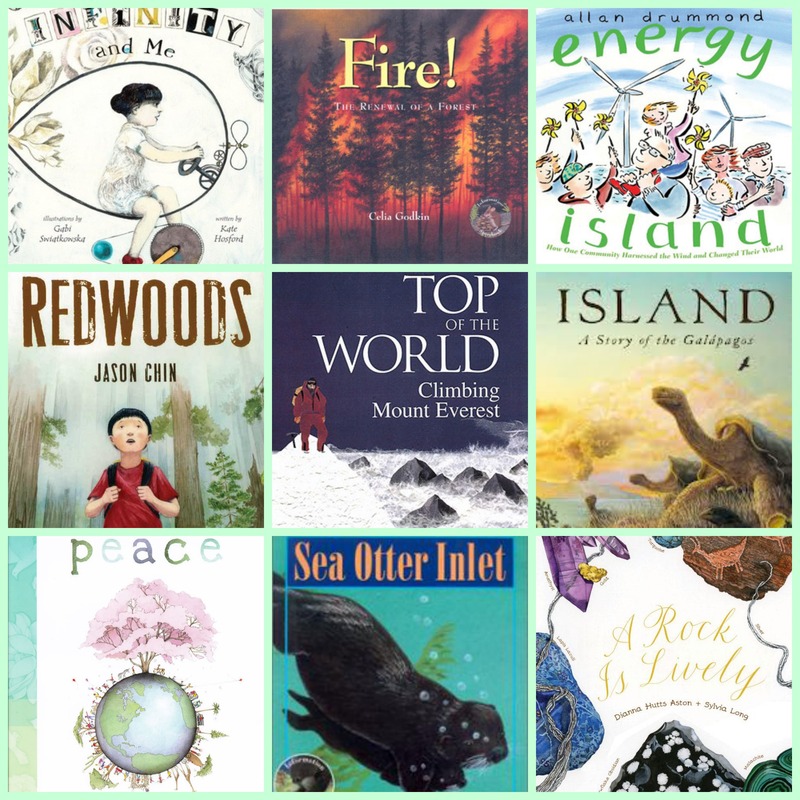 Knowing how busy school can get and knowing how I sometimes need a one stop shop when I am planning, I decided to take advantage of the time summer has to offer to amass a huge list of amazing nonfiction read alouds. I was looking for titles that my Grade 3/4 class would enjoy. Some are favourites from previous years and some I have yet to read myself. Thank goodness for the wonderful book bloggers out there that I used for inspiration. 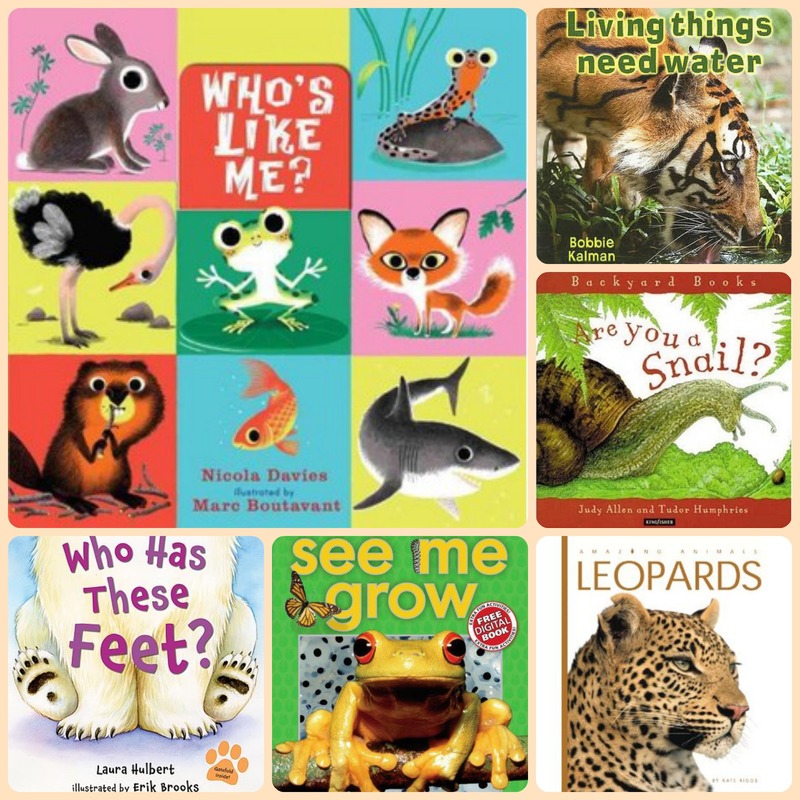 So here is my list of 25 “wonder inducing” nonfiction read alouds. A reference for me and one that I am sharing here. 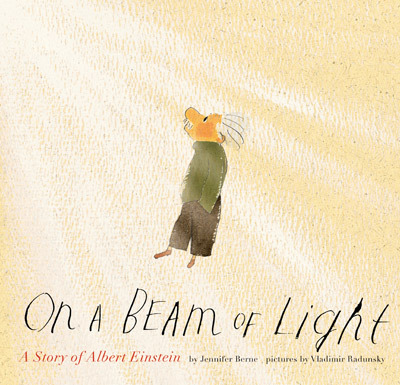 The book I plan to use to launch my year: On A Beam of Light- A Story of Albert Einstein by Jennifer Berne and illustrated by Vladimir Radunsky This book made my own thoughts whirl and swirl and race around my head. It has all the perfect themes of wonder, curiousity and thinking outside of the box. Will I read all of these titles aloud this year? Maybe not. Perhaps interests and passions will take us in different directions. But this list will help keep me on track to make sure I am sharing lots of books that inspire both learning and thinking in my room! 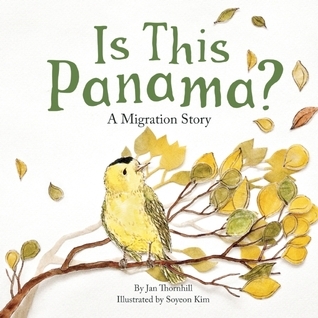 Do you have some other must share nonfiction titles for Grade 3/4 listeners? Would love to hear your suggestions! 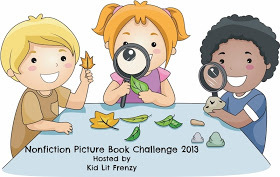 I learn so much by reading all of the blog posts that link to the Nonfiction Picture Book Wednesday event that KidLit Frenzy hosts. 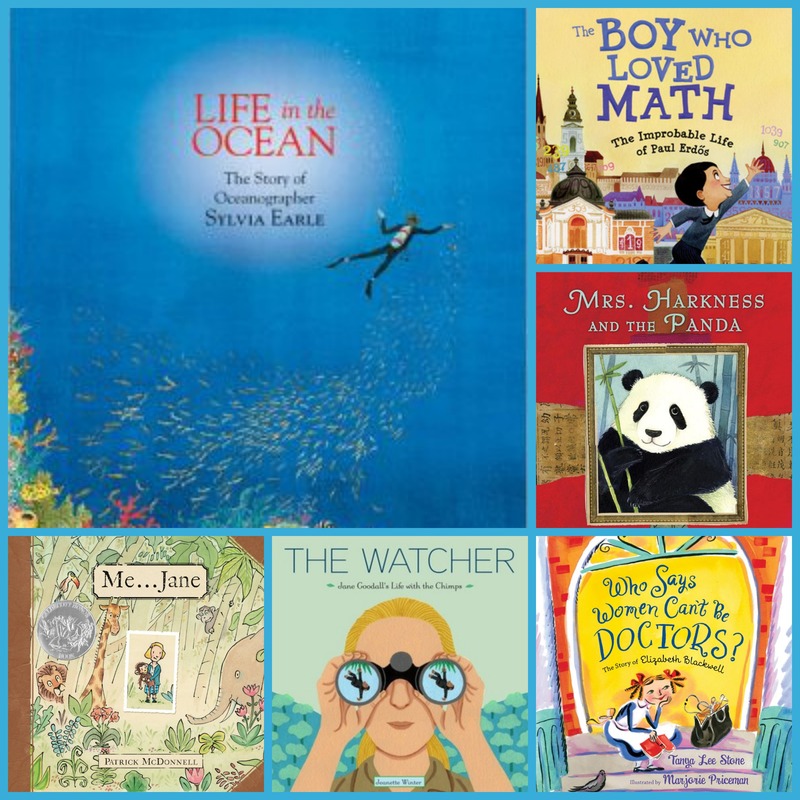 Visit Alyson’s blog to see what books are shared this week. This entry was posted in Book Lists, Non-fiction, Nonfiction Picture Book Wednesday and tagged Alicia Potter, Allan Drummond, Amazing Animals series, Bobbie Kalman, Celia Godkin, Claire A. Nivola, classroom library, Deborah Heiligman, Dianna Aston, Gabi Swiatkowska, information story books, Jacqueline Davies, Jan Thornhill, Jason Chin, Jennifer Berne, Jessie Hartland, Judy Allen, Kate Hosford, Kate Riggs, Laura Hulbert, LeUyen Pham, Marjorie Priceman, Martin Jenkins, Melissa Sweet, nature, NFPB 2013, Nicola Davies, nonfiction, Patrick McDonnell, picture book biographies, Scholastic books, Soyeon Kim, Steve Jenkins, Tanya Lee Stone, Tudor Humphries, V. Radunsky, Vicky White, Wendy Anderson Halperin by carriegelson. Bookmark the permalink. oooh! those are some fabulous reads! We have read most of these and can vouch that they are wonderful! And On a beam of Light has been my favorite this year so far. So congratulations on a great line up! And yes, I agree that these are great read-alouds. DD who is a 1st grader normally reaches out for animal books rather than biographies (maybe its just the way it is arranged in the library). But I would think those are more attractive as self reading titles. I would add “Arctic Tale” (book + movie combination is terrific),and Of Thee I Sing which is a classic introduction to various personalities. Thanks for stopping by @StackingBooks! My students are also obsessed with animal books and they do gravitate to these usually as well. So that’s why I think the biographies need to be shared as read alouds. I read Queen of the Falls to my reading group and they were absolutely captivated by it! So I think all of these real life stories about people will fascinate them. I love all of the discussion opportunities. Thank you for the suggestions! This is an amazing collection of Nonfiction Books! (and I love how you joined the book covers – it looks like a quilt!) LOVE The Watcher – and any book by Jeanette Winter! Have you seen Kali’s Song? Many of your recommendations I have seen, but have noted several titles that I would like to look into. I’m focusing on different nonfiction structures for my new book, so How the Dinosaur Got Into the Museum is of particular interest as could be an good example of instructional texts. Have you seen the CRABTREE guided reading series called Crabtree Connections? Excellent series linking to Science and Socials in a variety of different text structures – instructional, persuasive, explanation, etc. Thanks for all your great suggestions! Love Kali’s Song I used it here: https://thereisabookforthat.com/2012/05/26/mammoths/ to compare a nonfiction and fiction title. I also have How The Sphinx Got To The Museum. I love the repetitive elements of the text. Lots of fun to read aloud. I have seen some of those Crabtree Connections titles. I think I first learned about them from one of your workshops! Gorgeous books! Those look like fantastic reads for kids. I’m going to check to see if our library has any of them. Thanks! Thanks for stopping by! I wish I owned all of these titles! Some I own and some are in our school library. 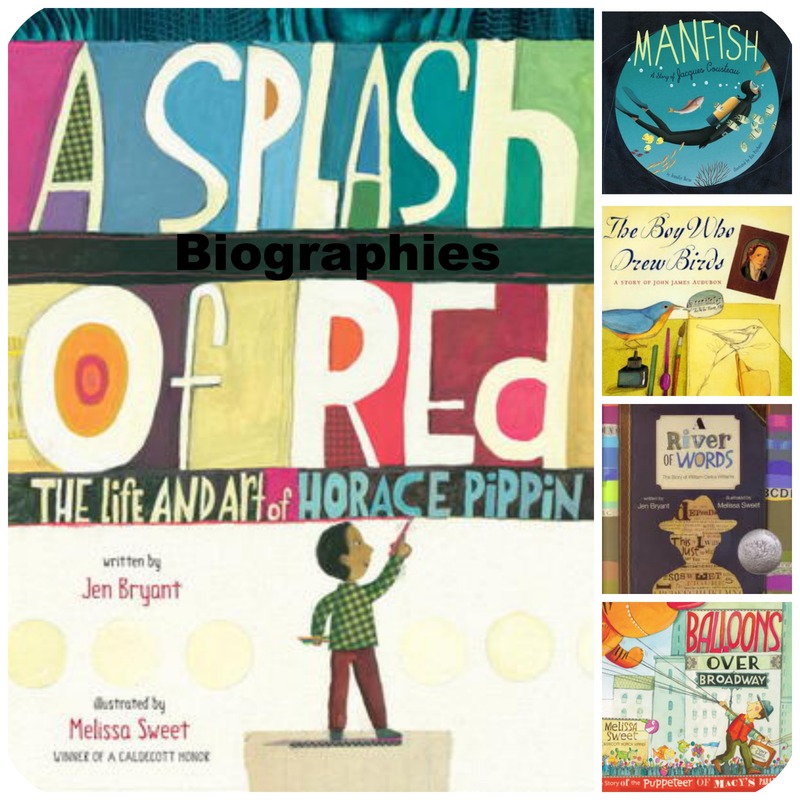 A few I am going to purchase to enrich my classroom picture book biography collection. Never enough money for the endless supply of beautiful books I wish I owned! Thank goodness for the library! Carrie, what a wonderful selection of books, many more for my shopping cart! You inspire me, I definitely need to read more nonfiction to my class this year! Challenge accepted. Yippee! Glad that you found some inspiration. My plan is to use this list I have generated as an important starting point. I really am excited to share more of the biographies with the kids. Love this, Carrie! At the end of last year each grade level was given funds to purchase NF texts for their classrooms. Happy to see some titles I chose for our 3rd grade team on your list. Makes me feel like I made good choices. Looking forward to reading & sharing all the other titles you included. Really appreciate you putting this list together and sharing it with the rest of us! Thanks! Thanks so much for your comment Allison. I am so pleased that this was helpful. It is always so interesting to see what titles people find relevant at different grade levels. This was a fantastic post of different books! I loved it. And how did you do the collage of covers? That is so cool! Now I have to see which of these titles I haven’t read and make a list. Thanks for linking up. Thanks Alyson – your weekly Nonfiction event is what keeps me on my toes re nonfiction. Even if I can’t post every week, I always read the posts shared. I used PicMonkey to do the collages: http://www.picmonkey.com/ Kind of new for me but fun! I am hoping this post is a good reference for me as the year unfolds. Fantastic resource list! What a great variety! I try to be conscious of genre when choosing my read alouds too. I teach first grade and we have a wall dedicated to categorizing books we’ve read together by genre. It is so effective when we are thinking back! Thanks Meghan! I love new suggestions. When I checked this title out, the author’s name seemed very familiar – I realized that she wrote The Dinosaurs of Waterhouse Hawkins which I read recently and really enjoyed. Have you read that title? It’s a lot of fun. Do you have a photo of your wall? It would be great to post it! Thanks for stopping by! I will have to check that one out! I haven’t read it! Unfortunately I don’t have a picture of my genre wall, but I will take one this year for sure! I have my students collaboratively write the genres to put on the wall as we discover each one. Then as we read, I make a small copy of each book cover & stick it up on the wall when we decide on it’s genre. It’s a great reference! So many great books! We have some of them in the library but I have put some of these on my to purchase list. Have you seen the series of math books by Flatt, Lizann. I have sorting through spring and counting on fall. Hi Cheriee You showed me Sorting Through Spring and our TL purchased it. Glad you found some new titles! LOVED THIS LIST ~ Thank you!! Here are some of my favorites (I’m an elementary school librarian).